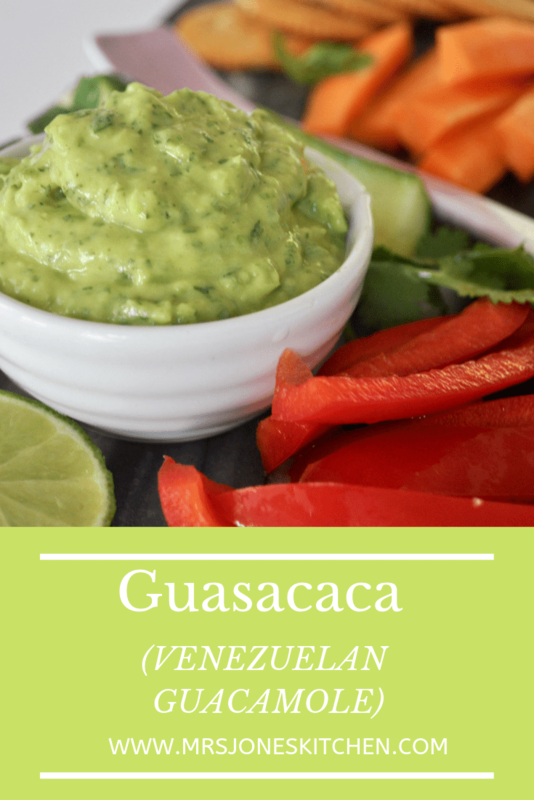 Guasacaca is the delicious Venezuelan version of guacamole. 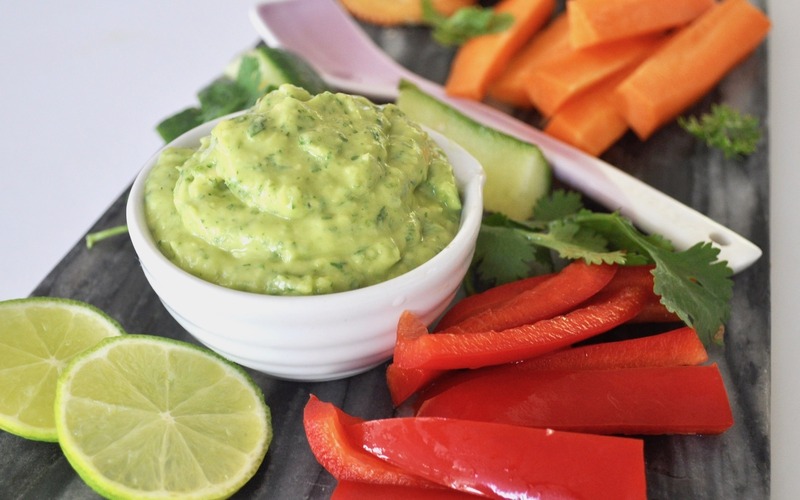 It’s easy to make, smooth, fresh, and creamy, and can be used as a dip, sauce, spread, and more – the possibilities are endless! Although it is now officially Autumn in Sydney, the weather today is so hot and humid. When it’s over thirty degrees I prefer to have something lighter for lunch: a salad, cheese and crackers, or a homemade dip and raw vegetables. I also love having something like this Guasacaca in the fridge, so I can snack on it throughout the day. I love avocados, but am not always so keen on guacamole. However, Guasacaca is packed with fresh flavours both from the generous amount of herbs and the green capsicum/bell pepper, which I personally think makes it less rich. You can add dried chillis or splash of tabasco if want something spicier – it’s flexible to your tastes! Want it Vegan or Gluten free? Worcester sauce is not suitable for vegans, or those on a gluten free diet. You could add a tiny splash more of wine vinegar to the Guasacaca, if using, but as there isn’t that much Worcester sauce in the recipe, I would leave it out all together. Place everything in a blender and blend until smooth. It’s that simple! If you want a slightly chunky dip, then just pulse a couple of times. Taste and adjust seasoning, then serve. I’m the same, so I often boil the clove of garlic in a small saucepan in a little water for a couple of minutes, until slightly soft. Then blend as normal. This seems to take the pungent raw garlic taste – and aftertaste – away. Try spreading it on a sandwich instead of butter, or thinning with a little olive oil and mixing through pasta. The guasacaca will keep in the fridge for 2-3 days, in a covered container.